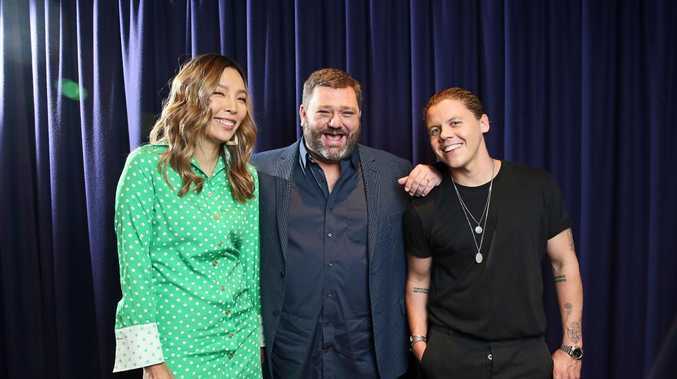 SKY TVs Paul Murray with Dami Im and Conrad Sewell, who will give a live, on location performance and interview during the broadcast of Paul Murray Live. Picture: Tim Hunter. 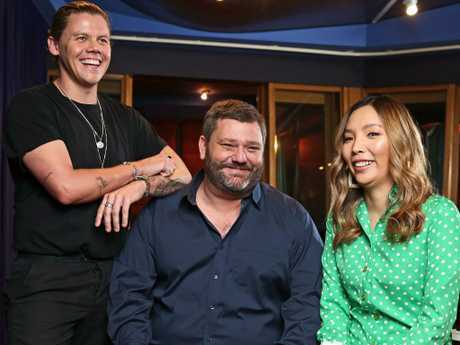 MUSIC stars Daryl Braithwaite, Jessica Mauboy, Dami Im, Conrad Sewell, Adam Harvey and Samantha Jade have joined Paul Murray Live's Our Town national tour. The Sony Music artists will join with Sky News and Harvey Norman to bring entertainment and financial assistance to families in regional areas. In each episode an artist will perform live as well as conduct an interview with Murray. The first stop is Toowoomba on Wednesday February 20, and will be broadcast on Sky News on Foxtel and WIN from 9pm. The musical guest will be country star Adam Harvey. Singer Dami Im said he jumped at the chance to go bush. "Regional Australia has always been very close to my heart, and I've been lucky enough to tour through some wonderful towns over the years," Im said. "Paul Murray Live Our Town is such a great initiative, I'm honoured to be a part of it and I'm really looking forward to performing soon and meeting everyone at a very special event somewhere great in regional Australia very soon." Principal partner Harvey Norman are joining with the Country Women's Association to raise funds for towns impacted by drought, fire or flood. Harvey Norman CEO Katie Page said the retailer was happy to give the cities the national platform they deserve. 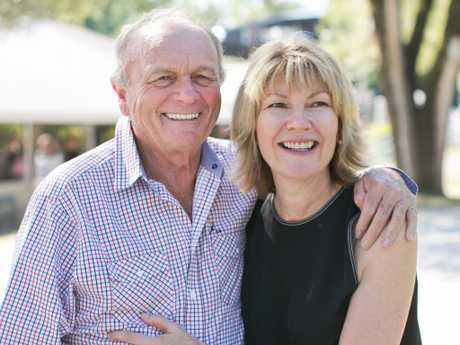 "The Harvey Norman brand is in over 110 country towns Australia-wide. Through our franchisees we see first-hand how every rural city and town has a different profile and unique community experience. "We will partner with the Country Women's Association in every district on the Our Town tour to understand where we can make a lasting contribution to the women of children of the local area. "Every town will be different, but we will leave it up to the experts - the CWA and our franchisees and their staff to determine how we deliver real support." Murray said the series will highlight the little towns and big cities that make Australia so special. "We are all committed to making this a celebration of those places and a night to remember in every town we are showcasing." To be part of the Toowoomba audience or to nominate your town email ourtown@skynews.com.au.